A coalition of more than 100 human rights organizations and drug policy groups is urging the United Nations to reform global drug policies and respect governments that move away from prohibition. "Existing US and global drug control policies that heavily emphasize criminalization of drug use, possession, production and distribution are inconsistent with international human rights standards and have contributed to serious human rights violations," reads the letter issued Tuesday from groups including the American Civil Liberties Union, Human Rights Watch and Global Exchange. "The criminalization of personal drug use and possession for personal use infringes on the right to privacy and basic principles of autonomy on which other rights rest." The letter, coordinated by David Borden, executive director of StoptheDrugWar.org, comes as the U.N. convenes Thursday in New York to discuss global drug policies in preparation for the upcoming U.N. General Assembly Special Session on Drugs -- the first comprehensive review of the U.N.'s drug treaties in more than two decades. "The administration should call for a committee of experts to be formed, to study how the treaties should be reformed and how to get it done," Borden told The Huffington Post. He added that the administration should support the recommendations of agencies such as the World Health Organization, UNAIDS and the U.N. Development Programme "to improve drug policy with respect to human rights, development and health." Borden explained that only the White House has the combination of incentives and authority needed to set the U.S. on a firm course of treaty reform and prioritizing human rights in drug policy. That stance "should come down from President Obama, through Secretary Kerry, then to be implemented by the agencies that are involved in international drug policy," Borden said. To date, four U.S. states, as well as the nation's capital, have legalized recreational marijuana, and more than 20 states have legalized marijuana for medical purposes. Outside the U.S., Uruguay has legalized adult-use marijuana, and 21 other countries have reduced criminal penalties for drug possession, including Jamaica, which recently decriminalized marijuana. But some of these laws, like the legalization of marijuana, conflict with U.N. drug conventions, which call on participating nations to confine the production, distribution, possession and use of marijuana to scientific and medical purposes. The letter calls for revising the U.N.'s drug treaties so that governments that do decide to change course on drug policy aren't in violation of U.N. conventions. "In case of irreconcilable conflict, human rights principles, which lie at the core of the United Nations charter, should take priority over provisions of the drug conventions," the letter reads. "Accommodating ... experiments ... with legalization and regulation of internationally controlled substances may require that the UN drug conventions are interpreted in light of countries' international human rights and other obligations." Also on Thursday, drug policy reform groups including Drug Policy Alliance, VOCAL-NY and New York Harm Reduction Educators are planning to gather with others to protest Indonesia's execution of eight people for drug offenses last week despite pleas for mercy from world governments, the U.N. and multiple human rights organizations. U.N. Secretary General Ban Ki Moon has said the U.N. is against the use of capital punishment for drug crimes, saying they do not "do not meet the threshold of "most serious crime." Still, more than 30 countries around the world continue to execute thousands of people a year for drug offenses, according to India-based human rights group the Lawyers Collective. The groups are gathering to protest the use of the death penalty for drug offenses, and plan to gather at the U.N. entrance on the corner of First Avenue and 47th Street at 1:30 p.m. on Thursday. We, the undersigned US and international non-governmental organizations that work on drug policy issues in the United States, and supporting organizations from other countries, call for a significant shift in global drug policy in line with international human rights standards,and that prioritizes health, including access to medicines, security, and development. Existing US and global drug control policies that heavily emphasize criminalization of drug use, possession, production and distribution are inconsistent with international human rights standards and have contributed to serious human rights violations. The criminalization of personal drug use and possession for personal use infringes on the right to privacy and basic principles of autonomy on which other rights rest. Criminalization of the drug trade has dramatically enhanced the profitability of illicit drug markets, fueling the operations of groups that commit abuses, corrupt authorities, and undermine democracy and the rule of law in many parts of the world. And both in the US and internationally, enforcement of drug laws has often involved large-scale abuses and discriminatory practices, including disproportionately harsh sentences for drug offenses in the US (which have a disparate impact on African Americans than on whites), the use of the death penalty for drug offenses in several countries, and extrajudicial executions and enforced disappearances in others. Existing drug policies have also caused other injuries to the public's well-being, such as the proliferation of infectious diseases and the suppression of essential and promising medicines. Concerned that drug prohibition may be incompatible, in practice if not in principle, with principles of human rights or public health, some countries – or jurisdictions within them – have begun to pursue policies that depart from that model and to seek alternative means for addressing the health and human safety concerns associated with drug use. Following votes in several states within the United States to legalize or otherwise regulate cannabis for non-medical use, the US State Department – as part of a "Four Pillars" approach enunciated by Ambassador William Brownfield – has called for flexibility and tolerance for countries to pursue innovative drug policies, including legal regulation. Considering the serious human rights and health harms drug policy approaches focused on criminalization have caused in the past decades, we believe that experimenting with new, less harmful approaches, to drug policy is essential. Accommodating some of these experiments, including with legalization and regulation of internationally controlled substances, may require that the UN drug conventions are interpreted in light of countries' international human rights and other obligations. We believe that in case of irreconcilable conflict, human rights principles, which lie at the core of the United Nations charter, should take priority over provisions of the drug conventions. UN Member States should initiate a process of reforming and modernization of the drug conventions. We also support the US Department of Justice's guidance of August 2013, in which it specified conditions under which it would accommodate state-based systems of legal regulation for cannabis, despite the continuing federal prohibition of cannabis.2 As then Deputy Attorney General James Cole laid out in testimony for the Senate Judiciary Committee, this approach represents the government's most realistic strategy for pursuing federal priorities (which are also treaty priorities), in light of the small percentage of law enforcement agents in the US who are employed by the federal government, and the constitutional restraints which prevent Congress from forcing states to enforce federal laws. Among the priorities listed in the guidance are preventing violence and preventing revenue from the sale of marijuana from going to criminal organizations. Essential medicines that contain or are made of controlled substances, the availability of which is currently limited in much of the world, including opioids for pain management, should be made available and accessible to all patients with a legitimate medical need. The United Nations should work with its member states to address the regulatory, legal and educational obstacles that have caused this scarcity and the resulting needless suffering. Governments should ensure that drug control measures do not interfere with medical and scientific research involving controlled substances, as is currently the case in the United States with substances included in "Schedule I." Given the growing body of evidence for the effectiveness of medical cannabis in treating certain medical conditions, states should review and, where necessary, amend regulations or adjust scheduling in order to improve medical access and facilitate research into medical uses. Governments should repeal laws that criminalize personal use and possession per se of drugs, taking into account their legal obligations under international human rights standards. Governments can criminalize negligent or dangerous behavior, such as driving under the influence, to regulate harmful conduct by individuals who use drugs, without criminalizing drug use itself. Governments should also address the policies and other factors that have driven disproportionate sentencing, over-incarceration and discriminatory policing. The United Nations and its member states should take steps to reduce the costs of current policies toward drug production and distribution, including overhauling policies such as aerial fumigation of drug crops, that may carry unnecessary risks to health and the environment; exploring alternatives to current approaches that emphasize the use of criminal law enforcement to regulate the drug trade; and where appropriate, by adopting new legal and regulatory frameworks and adjusting enforcement practices. The United Nations should work with its member states to end the human rights abuses occurring in drug enforcement, giving immediate priority to ending the death penalty for drug offenses. The United Nations and its member states should adopt drug policy evaluation metrics that focus on health, security, development, access to medicine, and human rights, rather than simple or derivative measures like use rates or quantities of drugs seized by authorities – and work to reallocate their budgets based on the evidence that such metrics reflect, for example by shifting some drug enforcement expenditures into public health programs or to other areas of law enforcement. 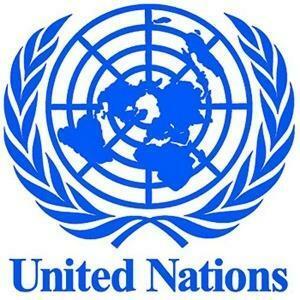 The United Nations should endorse the concept of harm reduction, including but not limited to needle exchange programs, safe injection sites, medication assisted treatment (including opioid substitution or maintenance programs), and non-prosecution policies for persons seeking help for overdoses. Read the full list of signees here.